Along with announcing the Kindle Fire tablet and the new $79 Kindle at their New York City press event today. 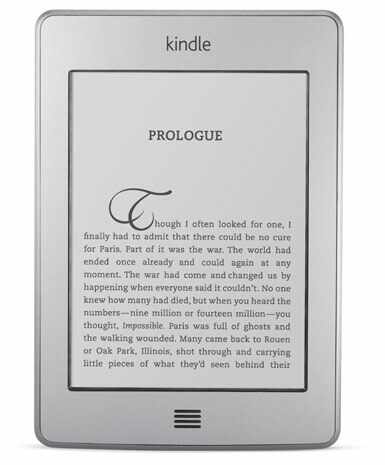 Amazon also announced the all new Kindle Touch. The Kindle Touch sports a IR-based touchscreen system. A totally redesigned interface that uses taps instead of physical buttons. And a new, more advance 6-inch e-Ink screen. The Kindle Touch will come in Wifi and 3G flavors when it ships on November 21. The ad supported Wifi version will cost $99, or $139 with no ads. And $149 for ad supported 3G version, or $189 with no ads. Both 3G versions come with free Global 3G roaming included. Both the Wifi and 3G Kindle Touch’s are up for pre-order right now. Jobs went on medical leave back in December of last year. So he could better focous on his health. And underwent a liver transplant surgery back in April. I’m personaly glad to hear that Steve Jobs is ok and back on the job. Now maybe Jobs can get working on the rumored Apple Tablet thats been swirling around the web.